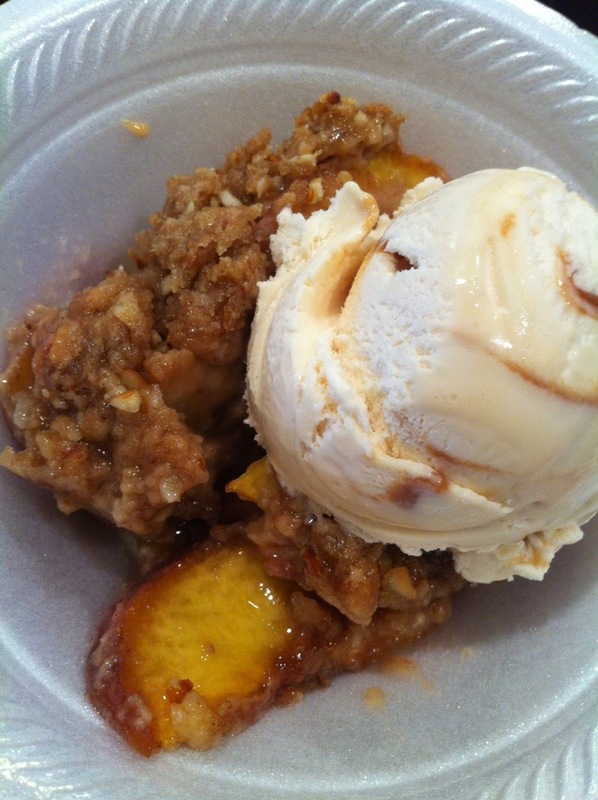 After making my first peach crisp, I think I like this a lot better than peach cobblers. 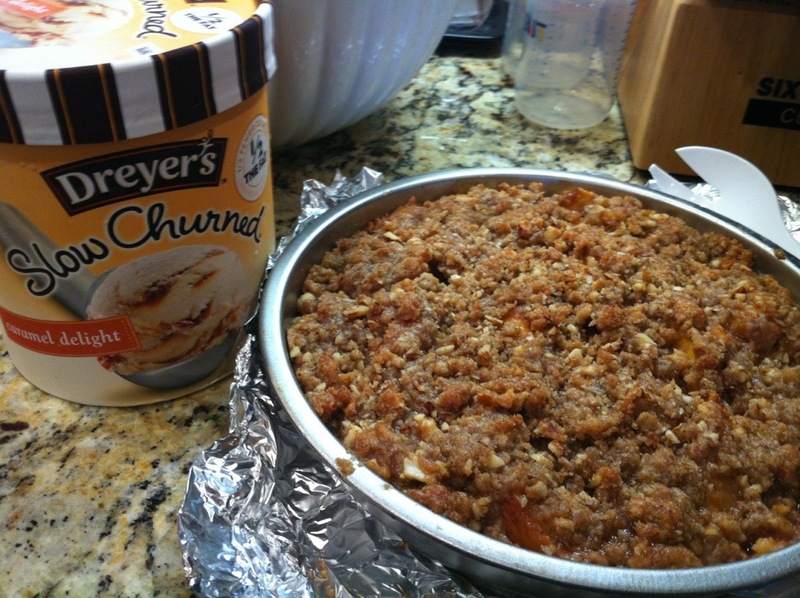 Almonds in the topping add to the texture and give it a nice crunch. Preheat oven to 350 degrees F. Toss the sliced peaches with the rest of the filling ingredients and spread evenly into a 8 inch round cake pan or small casserole dish. Combine all of the topping ingredients except for the water into a food processor and pulse until butter is the size of small peas. Add in the water one tablespoon at a time and pulse until the mixture holds together when squeezed together in your hand. Sprinkle the topping over the filling and gently pat down. Bake for 40-45 minutes until the juices are bubbling and the top is crispy and browned.